Your business logo on the side of the bus: $400 +gst for 12 months. Your advertisement on the back window of the bus: $1200 + gst for 12 months. By advertising your business on our eye-catching school bus, you’ll be helping the school and you’ll get great brand exposure. If interested, please email sallyjgrey@gmail.com or ph 021 239 1244. This entry was posted in Advertising on 11 May 2017 by angevink. 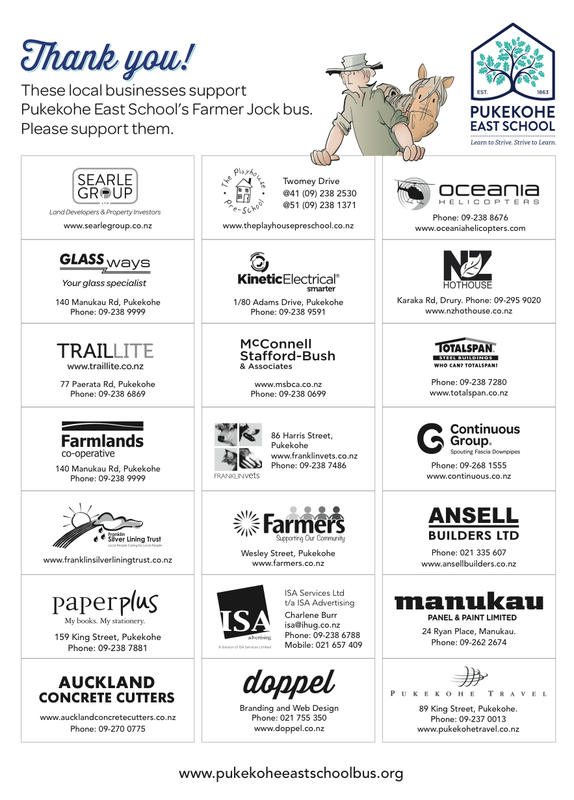 A couple of advertising spaces have become available on Pukekohe East School’s Farmer Jock Bus. The cost to have your business logo on the side of the school bus is just $400 +gst for 12 months. By advertising your logo on our eye-catching school bus you’ll be helping the school and you’ll get great brand exposure. To find out more about advertising your business on the school bus please email sallyjgrey@gmail.com or ph 021 239 1244. This entry was posted in Advertising on 6 May 2016 by angevink. An advertising space has become available on Pukekohe East School’s eye-catching Farmer Jock Bus. This spot would best suit a square or stacked logo. The cost to have your business logo on the side of the school bus is just $400 +gst for 12 months. Your advertising dollars will go to a good cause in keeping the bus operating for the kids of Pukekohe East. 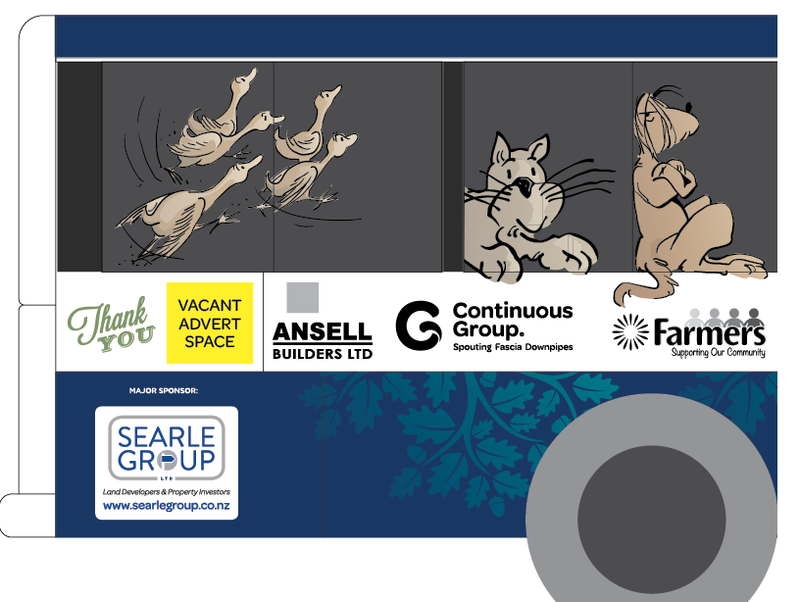 Our cartoon-decorated Farmer Jock school bus is a moving billboard and you’ll get great brand exposure. To advertise on the school bus please email Sally or ph 021 239 1244. This entry was posted in Advertising on 13 October 2015 by angevink. Pukekohe East School has the only remaining cooperatively-owned school bus in New Zealand, tracing its origins back to 1946. The school bus gets no government funding. We are 100% community-funded. Our wheels keep turning because of sponsorship support from these local businesses: Ansell Builders, Auckland Concrete Cutters, Continuous Group, Doppel, ISA Services Ltd, Glassways, Farmers, Farmlands, Franklin Vets, Kinetic Electrical, Manukau Panel & Paint, NZ Hothouse, Oceania Helicopters, Paper Plus, Pukekohe Travel, TrailLite, Total Span, McConnell Stafford-Bush, Searle Group, Silver Lining Trust, and The Playhouse Preschool. They support us. Please support them. This entry was posted in Advertising on 3 August 2015 by angevink. An advertising space has become available on Pukekohe East School’s eye-catching Farmer Jock Bus. The cost to have your business logo on the side of the school bus is just $400 +gst for 12 months. By advertising your logo on the school bus you’ll be helping the kids of Pukekohe East School and you’ll get great brand exposure. 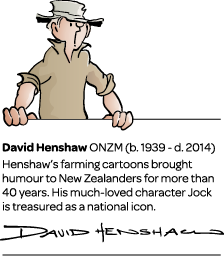 Our cartoon-decorated Farmer Jock school bus is a moving billboard, turning heads in Franklin and the wider Auckland region. We get no government funding for the bus and we rely on advertisers to help keep our wheels turning. To advertise on the school bus please email Sally or ph 021 239 1244. This entry was posted in Advertising on 1 July 2015 by angevink.